If you live in Uganda, you have 90 percent chances of depending on firewood, charcoal or crop residues as your main source of energy for cooking. This generally is known as biomass energy. Many of you reading this piece were born in rural areas but now live in townships. Previously kerosene, at best, lit your houses, mainly at dinner time, through a wick feeding from a little tin (Omunaku tadooba). The candle was blown off immediately after dinner to save kerosene and you went to bed in thick darkness. You now have electricity, watch TV, iron clothes and can even manage a fridge. When it comes to cooking, however, many of you use charcoal. 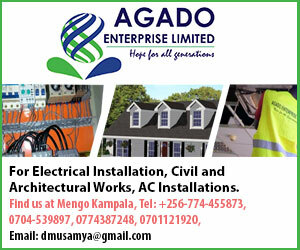 The unit cost of electricity, if you use one unit per day, is about UGX1000 (after considering the unit charge of UGX771.1 and 18% VAT, UGX3,360 service fee per month and some discounts). This is a lot costly for activities that demand a lot of energy such as cooking. You have sweet memories of your childhood when in the village, you sat with your peers around the three-stone fireplace pushing in firewood for the food to cook as your mother or grandmother worked on something else. Sometimes you roasted maize on the sides and had to keep a keen eye on it lest it burnt. You chocked, sneezed, your eyes itched and tears rolled down when smoke entered them. But in the end, you had the broadest smile as you exited the kitchen with your roasted warm bite safely gripped in our hand. 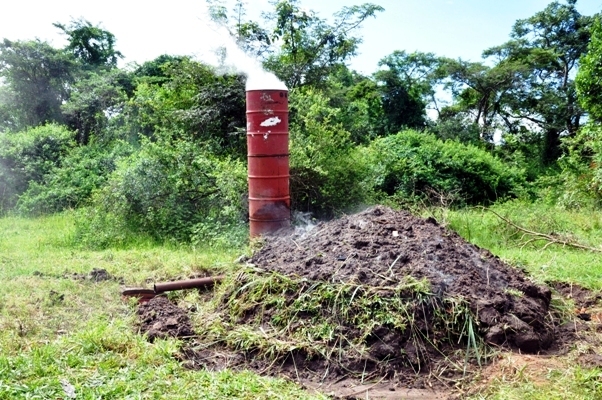 In much of rural Uganda, the smoky kitchen remains a stark reality of Uganda’s enduring energy poverty. An overwhelming 78.6 percent of Ugandans still rely on firewood for cooking. Charcoal, which is also from wood, comes next as the second most important source of cooking energy with 5.6 percent while crop residues contribute 4.7 percent. What has changed is that as our population has been increasing, we have been depleting our vegetation at a high rate, contributing to environmental destruction. Statistics from the National Environment Management Authority (NEMA) and the Uganda Bureau of Statics (UBOS) indicate that Uganda’s forest cover dropped from 24 percent in 1960 to 11 percent in 2015, agriculture and energy being the key drivers behind this. Uganda’s innovation or adoption of innovations in energy has, however, been growing over the years, sometimes with support of donors. Some innovations are intended to combat environmental abuse but most of the adoption is based not on that, but on cost effectiveness. We have seen the wood cook stove improve from three-stones to energy saving clay fabrications. Charcoal stoves have transited from thin energy wasting bare iron sheet to thick clay or cement heat-concentrating stoves externally lined with iron sheets. The later have between 35 to 50 percent more energy efficiency compared to the former. This means that with the improved cook stove, a sack of charcoal would take you twice the period as compared to the bare iron sheet stove. Now we can go a step further. We can be able to produce more charcoal from wood using innovative methods such as retort and casamance kilns. While our traditional method of burying wood in earth can only convert 10 percent of the wood into charcoal, the retort and casamance kilns can increase output by up to 40 percent, according to experts. The retort kiln is a stationary structure of bricks, while with the casamance kiln, the builder fixes a chimney on a traditional kilm by welding drums. “These are simple technologies,” says John Tumuhimbise, an Assistant Commissioner in the MOEMD and the Project Coordinator. He acknowledges however that the cost of the technologies may be a hindrance for some people. 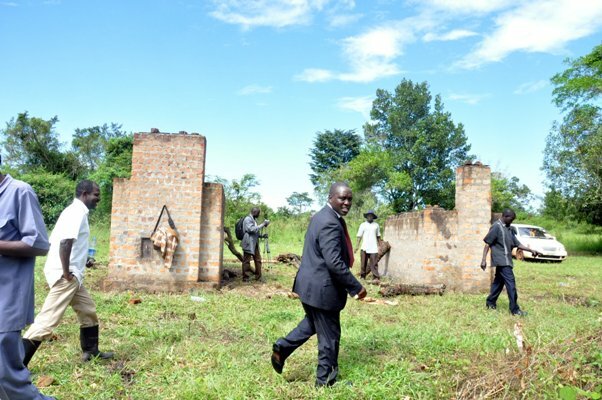 “You may be looking at UGX600,000 [to build one kiln] which may not be easily affordable,” he adds. Such innovations in the way we produce and use energy will not only make it cheaper to cook, save the environment, but also save us from several health risks including the threat of death from carbon monoxide poisoning that is often association with indoor cooking.